A black hole is an object that has gravitationally collapsed under its own weight. It could be formed from the the remains of a dead star, a dense central region of a galaxy, or perhaps even a small fluctuation in the early dense moments of the cosmos. Regardless of the cause, the trick is to compress a large enough mass into a small enough volume. In other words, if the density of matter is high enough, it will collapse into a black hole. The critical volume for a given mass, known as the Schwarzschild radius is pretty easy to calculate for a non-rotating black hole. It turns out to be R = 2GM/c2, where G is Newton’s gravitational constant, c is the speed of light, and M is the mass. Compress the mass into a sphere of that radius, and you get a black hole. At least that’s how the story is told. Technically, if you compress a mass into a sphere of that volume, then it already is a black hole. But is there a minimum volume you could reach so that the mass is fated to become a black hole? Do you have to actively squeeze the mass all the way to a black hole, or can you squeeze it to a point and let nature takes its course? This turns out to be a very interesting question. If we simply compress a certain amount of matter into an ever smaller volume, the matter itself will try to push back. As matter is squeezed, it heats up, so eventually our matter would heat to the point of vaporizing, and the gas pressure would try to oppose us. Squeeze hard enough and the nuclei of the material will start fusing, which would heat the mass further and generate more pressure. Squeeze even harder and the matter will eventually reach a point where the electrons of the material are moving at nearly the speed of light, and the quantum pressure of electrons will push against you. This is what happens within a white dwarf star. But there’s a limit to how strongly electron pressure can push back, known as the Chandrasekhar limit. If we squeeze matter harder than that, the electrons and nuclei of the material will collapse together, forming a sea of neutrons. Since fast moving neutrons occupy less space than fast moving electrons, for a time the mass gets easier to compress. But eventually the neutrons start approaching the speed of light, and push against each other in much the same way as the electrons did. This neutron pressure is what keeps neutron stars from collapsing on themselves. As with electrons, there’s a limit to how strongly neutrons can push back, known as the Tolman-Oppenheimer-Volkoff (TOV) limit. Squeeze the mass beyond that limit, and the neutrons will collapse into each other. According to our current understanding of physics, beyond the TOV limit the matter will collapse into a black hole. The observed upper mass of neutron stars is about twice the mass of our Sun. Such neutron stars are about 20 kilometers in diameter, while the Schwarzschild radius for such a mass is about 6 kilometers. This would imply that if we squeezed mass into a radius about 1.7 times larger than the Schwarzschild radius, then it’s doomed to become a black hole. But what if the TOV limit isn’t the last line of defense against a black hole? What if the quarks that make up protons and neutrons behave in ways we don’t expect at really high densities, or what if quarks are comprised of something even more fundamental, and they have an even stronger limit. It is possible that something could oppose our squeezing? Could such it create so much pressure that a black hole is impossible to form? It turns out the answer is no, and the reason is because of relativity. 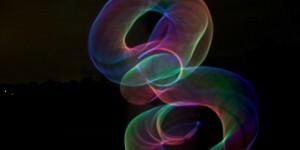 One of the key aspects of relativity is that energy and mass are related. Mass can be converted into energy, and energy can be converted into mass. When matter generates pressure to oppose our squeezing, that pressure has a certain energy, and that energy has a gravitational weight just like mass. So the more strongly matter pushes against us, the more gravity helps us. This is a game of diminishing returns, and there is a point where no matter how strongly the mass opposes us, gravity is even stronger. This limit is known as the Buchdahl limit. If the mass is spherical and of uniform density, this limit is 9/8 times the Schwarzschild radius. Squeeze past that point, and nothing can oppose the eventual formation of a black hole. There are more general calculations that don’t assume uniform density, but the end result is similar. So it turns out we don’t have to squeeze a ball of mass all the way to its Schwarzschild radius to make a black hole. We just have to get within about 10% of the radius the mass will collapse into a black hole on its own. While this is a fun theoretical game, it is an excellent example of why black holes exist. Dr. Koberlein, are there any credible hypothesizes suggesting quarks could stop the collapse of a star from the TOV limit to the Buchdahl limit? If there is, please consider writing a post on the topic. If you take dark matter through the same stages of gravitational collapse, would it obey the same rules? Thanks for another awesome blog article Dr. Koberlein! So for this one, I think my brain is having trouble wrapping itself around one of the concepts you mentioned, as I am probably misunderstanding something very fundamental about the theory of relativity. You said that “energy has a gravitational weight just like mass” as stated in the theory of relativity. Also, let us say that you were to convert all the matter of planet Earth into pure energy (and somehow contain that energy in a magical shield-ball the size of Earth), then would that ball of contained energy have the same gravitational pull as the original Earth? So if you are trying to squeeze an object into a black hole… then even though you are seeing energy appearing in the system, that energy wouldn’t have more gravitational pull than the original system you started with right? So that energy wouldn’t help in collapsing the ball further? Again, I’m very obviously misunderstanding the Theory of Relativity here, which is probably beyond the scope of the article for you to take time to explain. But ya, I did quite enjoy this fascinating article! Anyway, let’s see if Dr. Koberlein help us out here. Could black holes be filled with atomic nuclei only & all the stripped electrons be the dark matter clouds. Neither can emit light without the other…. I just have a doubt. 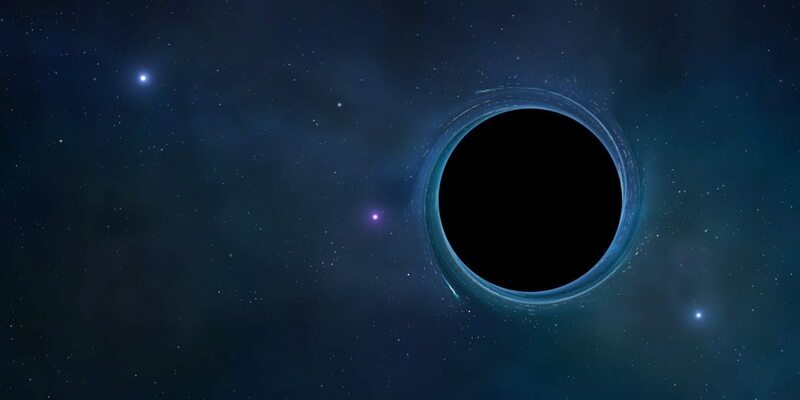 What happens when a light reaches near a blackhole ? Does the speed of light increases or constant?? Locally the speed of light is always the same. You would think that the mathemagicians would be able to tell the difference between a black ball and a region. Therefore, until a mathemagician can decide whether a black hole is one or the other, he cannot claim that it is an object, let alone that this object exists or causes astronomical phenomena. And of course, there is no object that is zero dimensional (0D). The onus is on a mathemagician to DRAW such an ‘object’. Good luck! The amusing black spirit of Mathemagix really makes you wonder about the level of indoctrination that the deluded mathemagicians receive at ‘respectable’ peer-reviewed monasteries such as Cambridge and Stanford. It just ‘proves’ that you can make a PhD believe anything. That’s some timecube level of logic you got there in the video. Just as a side note, I don’t generally allow self-promotional links in comments. I allowed this one because you’re new, but future hyperlink comments won’t show up here. By the way… I’ve posted the comment on FB so that people can have a laugh at what the ‘experts’ coming out of the monasteries believe in these days. We’ll make you famous, BK. Hey! Finally a visit by the “rational physics” gnomes! I wondered how long it would take y’all to find me. By all means make me famous. While you’re at it, throw a few shekels to my square account. The monastery doesn’t pay what it used to. Hmm, two comments, one Youtube link, and a reference to Facebook! I wonder who is doing the peer review on those these days? Probably the same people who were doing it at Kronos, Aeon and the like, in the days before the cranks had access to the internet.